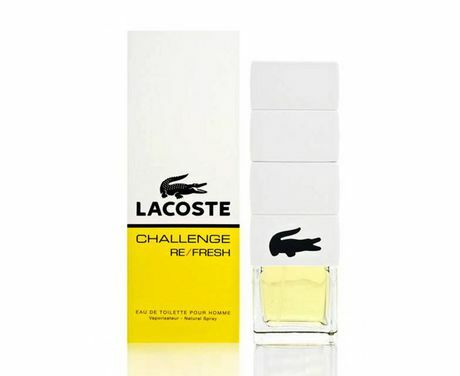 Challenge Re-Fresh cologne for Men by Lacoste was introduced in 2011. Lacoste Challenge Re-Fresh is classified as Aromatic Spicy fragrance. Scent notes of Challenge Re-Fresh Lacoste include top notes of green cardamom, birch, middle notes of rosemary, oregano and base notes of myroxylon balsam, patchouli.